Building consumer trust is essential for any company, no matter if it’s B2B or B2C. CEOs and founders often try to establish a personal brand to breed that trust, serving as a face for the company. Personal branding of a team member is an excellent way to boost the credibility of the organization. That person can discuss company offerings, as well as industry trends, on social media, in industry publications, and through the business’s blog. 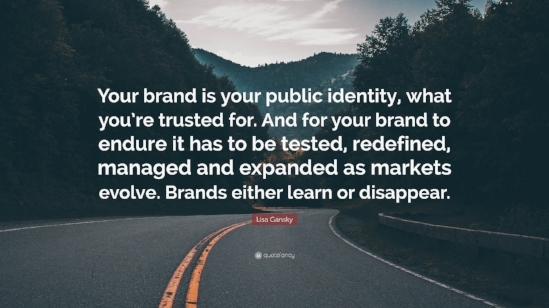 Trust is increasingly important in the eyes of the consumer, so organizations that do not have a personal branding strategy should consider creating one. Personal branding comes in many shapes and sizes. The general idea behind the practice is individuals marketing themselves, their positions, or careers as a brand. It can also be seen as an online professional reputation. The fact is, most executives have a personal brand, it’s whether they choose to cultivate it or not that makes a difference. Executives can build a personal brand through social media. Many choose to use a combination of LinkedIn, Twitter, Quora, or Facebook, depending on the industry. Additionally, some CEOs showcase their brand through blog posts on the company website. An extremely effective way to build a personal brand is also to add bylines (or articles) in industry publications. These articles can discuss industry trends and serve as a non-promotional way to boost credibility. There are numerous benefits to personal branding campaigns. Here are five to keep in mind. Best way to sell something - don't sell anything. Earn the awareness, respect, & trust of those who might buy. Online recommendations are crucial, even for traditional businesses. While it might seem overly promotional, CEOs and founders should promote their products or services online. Ninety-two percent of people trust recommendations from individuals (even if they don’t know them) over companies. A promotional post from an employee goes much further than one from the company itself. Buyers need constant touchpoints from companies because it takes five to seven impressions for someone to remember a brand. Seeing posts from an employee will have a significant impact on buyers, serving as a way to push the prospect down the sales funnel without acting too pushy. Furthermore, 53% of decision-makers have eliminated a vendor from consideration based on information they did or did not find about an employee online. Whereas before only bad news online could hurt a company, now no personal brand can disqualify a company from a potential sale. Company posts on social media, in newsletters, and in blogs are relevant, but employee shares help boost the reach of the message. Posts have 561% more reach when employees share brand messages. Plus, messages by employees are reshared 24 times more frequently than when shared by companies. The reason for the extra boost is that employees on an average have 10x more followers than a brand. Employees like engaging with company content, and not only does it help push the organization’s messaging in front of more people, but it also makes the employees more productive. Companies with engaged employees outperform their unengaged peers by 202%. By keeping employees engaged, companies improve messaging reach and productivity all at once. The numbers prove the importance of personal branding. Eighty-two percent of people are more likely to trust a company when their senior executives are active on social media, and 77% of consumers are more likely to buy when the CEO of the business uses social media. Those numbers alone are reason enough to get executives active on social networks. Prospects want to hear the voice of the company but from a person, not from a company account. CEOs do not have to be active on all social media channels, but it’s a good idea to choose two or three and maintain an active presence there. Perhaps most importantly, personal branding efforts produce an ROI. Leads generated by employees through social media activities are 7x more likely to convert than other leads. It’s no wonder sales teams use social networks like LinkedIn. Ninety-six percent of sales executives use LinkedIn at least once a week and spend an average of 6 hours per week on the professional social network. Ninety-five percent of recruiters believe that the job market will remain or become more competitive. Companies that do not stand out online will be swallowed up by the competition. To attract top talent, executives should build a personal brand. Companies that invested in personal branding initiatives of their employees found that employees were 27% more hopeful about their company, 20% more likely to stay, and 40% more likely to believe in the competitiveness of their employer. Personal branding does not have to be a strenuous task, and many tools can help. If you’re ready to launch a personal brand and want some experts to help boost your online presence, email us at hi@launchwaymedia.com.